The Left Front has suffered a big defeat in the West Bengal Assembly elections. The CPI(M) accepts the verdict of the people. The Party will analyse the results carefully and come to proper conclusions about the electoral reverse. After the Left Front being in office for a record 34 years continuously, the people have opted for a change. The TMC-led combine has been the beneficiary of this change. The Left Front had won seven successive elections and governed the state for more than three decades which is unprecedented in the parliamentary democratic system in India. In this period, there were solid achievements – land reforms, a democratized panchayat system, progress in agriculture, assurance of democratic rights for the working people, for unity, integrity and communal harmony in the state. These are historic gains of the people of West Bengal and an enduring legacy. Lakhs of people have supported and voted for the CPI(M) and the Left Front in the most adverse circumstances and against heavy odds. The Polit Bureau conveys its greetings to all of them. It assures them that the CPI(M) and the Left Front will stand by the interests of the people and struggle for the cause of the working people. The Party expresses its gratitude to the tens of thousands of Party and Left Front workers who worked tirelessly during the election campaign. The Polit Bureau cautions that there should be no repetition of the violence that took place against the CPI(M) and the Left Front cadres and offices in the aftermath of the Lok Sabha polls in 2009. We appeal to the people to work for peace and tranquility. The results in Kerala show that the people have by and large endorsed the record of the LDF government of the past five years. The Left Democratic Front has very narrowly lost the elections with the UDF getting a slender majority of only two seats. This shows that there has been no anti-incumbency trend. However, some caste and religious forces have worked to influence the elections. The Polit Bureau of the CPI(M) conveys its warm greetings to the thousands of Party and LDF workers who have made this creditable performance in Kerala possible. The CPI(M) and the LDF will vigorously advocate alternative pro-people policies and firmly defend the interests of the working people. The results of West Bengal and Kerala will be a disappointment for the Left and democratic forces in the country. But this will, by no means, make the Left policies and programmes irrelevant for the country. 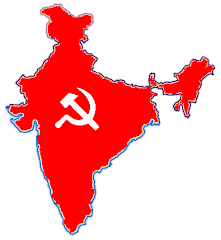 The CPI(M) and the Left forces will not only continue to work for the people in West Bengal and Kerala but will vigorously pursue the struggle against the neo-liberal economic policies, defend the livelihood and interests of the working people and combat communalism and defend secularism in the country. The Polit Bureau welcomes the sweeping victory of the AIADMK alliance in Tamilnadu. The AIADMK and its allies have won more than four-fifth of the seats in the Assembly. The Tamilnadu result is a decisive rejection of the corrupt misrule of the DMK and is also a verdict against the corruption which has flourished under the UPA regime at the Centre. The Congress party has won a majority in the Assembly elections. The peace talks with the ULFA and the division in the opposition parties have contributed to the Congress victory.